The New Yorker has a piece up, Same but Different: How epigenetics can blur the line between nature and nurture, which I think on the balance is pretty good. It introduces epigenetics to a broader audience in a manner that’s more than just a catch-phrase, and, cautions that people shouldn’t over-hype what is a legitimately interesting field of science. 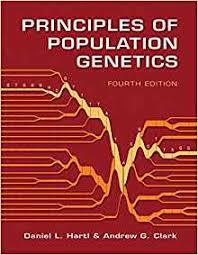 It is true that in Neo-Darwinian evolution, the modern synthesis, which crystallized in the second quarter of the 20th century, genes do not retain an organism’s experiences in a permanently heritable manner. But this is not true for Charles Darwin’s theories, which most people would term a “classical Darwinian” evolutionary theory. This is because first, Darwin worked in the pre-genetic era. He did not posit particulate inheritance, and had no genetic model. 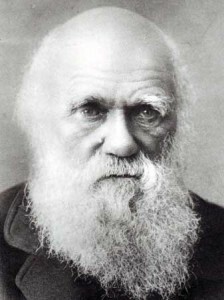 Second, though it is correct that Charles Darwin’s deemphasized the role of acquired characteristics, he himself was quite open to Lamarckianism in some cases. 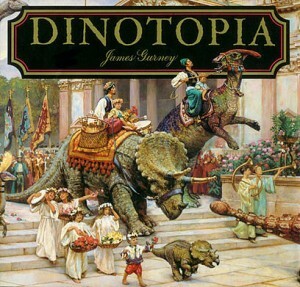 This openness persisted into the early 20th century, Ernst Mayr started his career as a Lamarckian! In the least The New Yorker should have had someone with a background in evolutionary biology read the draft. The error is pretty obvious, and easy to fix. 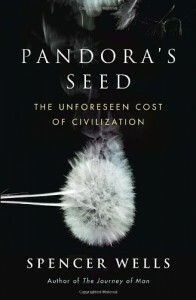 What Nelson and Platnick were saying was that, if the evolutionary and tectonic patterns matched, one could infer that the human lineage-meaning people as people, not as porto-humans or tree-living apes or any more distant ancestor-extended back to 66 million years and more to the Mesozoic, which was…the Age of Dinosaurs. Never mind that the intensively studied human fossil record indicates that the genius Homo is only a few million years old. Never mind that the genes of humans and chimps are so similar that they suggest that the common ancestor of these two lineages…existed only 7 million years or so ago. Never mind a whole host of fossils showing that a success of progressively deeper human ancestors-the first hominids, the first apes, the first monkeys-were not around in the Mesozoic. All that evidence is worthless. Molecular clocks don’t work. The fossil record is hopelessly incomplete. People might have lived with dinosaurs. The author is referring to a portion of Systematics and Biogeography (free PDF at link), a text which was at the forefront of the cladistic revolution which was in full swing in the 1970s. Cladistics was an important development, in that the discipline introduced rigor in systematics and a more formal scaffold onto evolutionary phylogenetic methods. 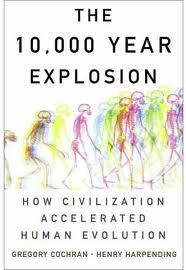 But many evolutionary biologists believe that the movement has lost its way and become ossified into a dogmatic philosophy at best, and a cult at worst. Often science gives strange results. We mustn’t shy away from that. But we also need to be wary of the crazy. The punctilious to a fault adherence of cladists to a very precise and delimited set of methods can be commended on some level, and it was certainly useful in past decades. But more recently they’ve withdrawn into a weird intellectual ghetto as the world has moved on. I don’t know where this recommendation occurred (on this blog, Twitter? ), but The Monkey’s Voyage: How Improbable Journeys Shaped the History of Life, is a very interesting book. 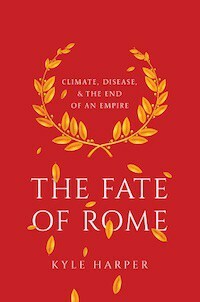 Haven’t had time to read much of it, but what I have read is fascinating. It seems to be one of those works which is taking a stand on a “big” evolutionary question, this one having to do with the geographic distribution of species across the globe. One school is the vicariance model, where the primary parameter seems to be geological scale forces (e.g., the separation of Gondwanaland into the southern continents). The other looks to stochastic long distance dispersal events. 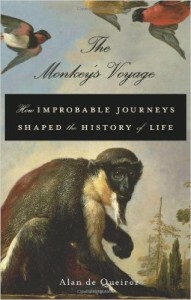 The author of The Monkey’s Voyage is of the second school. Dinosaurs in decline tens of millions of years before their final extinction. I find clade-level decline rather curious. Additionally, many non-dinosaur lineages went extinct in the K-T event. I think they might be finding a real result, but not sure of the significance. 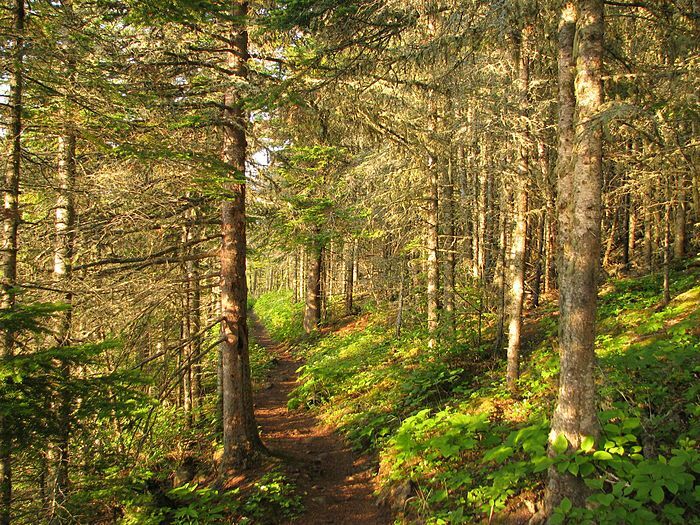 When I was 13 years old I had a deep interest in America’s national parks, so I have long been familiar with the ecology and conservation genetics work associated with Isle Royale. In particular, there has been a long-term study of the predator-prey dynamics on the island dating back decades. Before the recent resurgence of the wolf across the West, the Isle Royale pack was not an inconsequential proportion of the national headcount in the lower 48 states. But these wolves were always on a knife’s edge. The island is small, and there were never more than a few dozen wolves. This is below the generally accepted minimum census size for a viable long-term population. 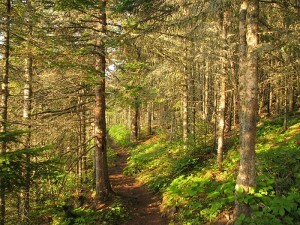 And in fact, the Isle Royale wolves are newcomers, descending from a pair that arrived in the 1940s. Census size aside, this fact itself points to the likelihood that these wolves are going to be plagued by the downsides of inbreeding. Not only is there average population size rather small, but their genealogies coalesce back to a very small bottleneck, possibly an original mating pair. A few years ago, eight to nine wolves roamed the island, but the population dwindled to three last year. The remaining two are the most closely related of the group. The inbreeding coefficient of their potential offspring—a measure that varies between zero for unrelated parents to approaching one after many generations of brother-sister mating—is 0.438. (By comparison, the inbreeding coefficient among some of the European Habsburgs was 0.25, according to a 2009 analysis.) Some captive and experimental animal populations approach this level of inbreeding, but such populations are prone to abnormalities—and extinction—and managers try to avoid it. Wolves themselves naturally avoid mating with such close kin, but the pair on Isle Royale have no other options…. The male is the father of the female. They are also half-siblings, as they share the same mother (so the male is the son of a female with whom he mated to produce the female who is his current mate). If mating with near relatives over generations could purge the genetic load of deleterious alleles in a mammalian population, these wolves would have done so. As it happens apparently the wolves of Isle Royale have suffered from typical ailments of inbreeding and reduced fertility for a while. In the 1960s W. D. Hamilton attempted to solve the “problem of altruism,” in the process developing a formalism that allowed for the elaboration of the concept of inclusive fitness. In concert with this Robert Trivers pushed forward the ideas which led to reciprocal altruism. Finally, John Maynard Smith developed evolutionary game theory. These are the dominant frameworks which biologists depend upon to model the evolution of sociality, as well as its persistence. 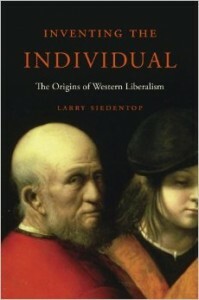 But, there is an alternative tradition, which offers up other possibilities besides the big three frameworks. Often this tradition attempts to explain altruistic behavior as a group level fitness optimization problem, rather than an individual level one, as is the case with inclusive fitness, game theory, and reciprocal altruism. 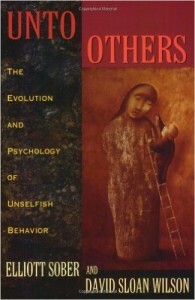 David Sloan Wilson has presented this viewpoint in his books Unto Others: The Evolution and Psychology of Unselfish Behavior, and Does Altruism Exist. Wilson’s multi-level selection theory seems particularly apposite for humans, whose baroque social complexity seems to be difficult to derive from elegant individual level theories. 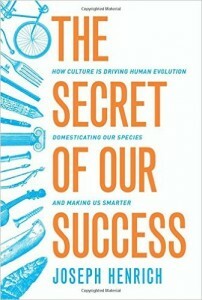 The field of cultural evolution deals in these sorts of complex models of between group competition and interaction, and it serves as a critical aspect of Joe Henrich’s recent The Secret of Our Success: How Culture Is Driving Human Evolution, Domesticating Our Species, and Making Us Smarter. 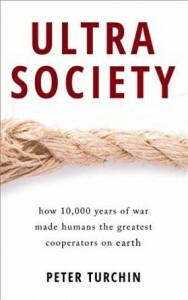 Meanwhile, in Ultrasociety and War, Peace, and War, Peter Turchin outlines how human group level cohesion, asabiyya, can be the driver for complex social institutions and polities. Another way to conceive of this is esprit de corps. All this was on my mind as I read Scott Atran’s research groups report, On the Front Line Against ISIS: Who Fights, Who Doesn’t, and Why. I follow Atran’s Facebook, and many of his posts read like what you might expect if Dexter Filkins was a social scientist steeped in evolutionary theory. The Yazidis faced extermination in their ancient homeland. They have no choice but to stand their ground even when faced with the suicidal attacks from ISIS’ North Caucasian fighters, who combine devotion to the cause with military effectiveness. Similarly, the Kurds are fighting for their nationhood, while groups affiliated with the PKK augment that with a utopian Left-wing ideology. The Sunni Arabs lack such devotion. They have no nation, alienated from the Iraq in which they are an oppressed minority, rather than the ruling caste that they have been habituated to be. They fight for their families, perhaps for their tribe. A neoclassical model of rational actors where clans are “firms” may well model their behavior, which is selfish interested and situational. As Atran’s dispatch makes clear, these were people who were for ISIS before they were against ISIS. There is some symmetry within ISIS itself, with portions of its collective exhibiting less asabiyya. Local recruits occupy a second class status, and some of them are clearly the marginal or self-interested. Rather, the foreigners, especially units from the Caucasus and the French-speaking West, seem to be the closest that the shiekhs of ISIS have to a praetorian guard. In this way the al-Baghdadi and his inner circle are recapitulating an ancient Muslim pattern, where the rulers rely upon ideologically aligned outsiders to control and prod the populace whom they rule and represent. Ideology and asabiyya have limits. I believe Atran tends to underestimate the professionalism and cohesion of American fighting units, but even if his judgment was correct (that they lack as much spirit as ISIS), the material advantage would just be too great for ISIS to withstand them. Japan and Germany both were cohesive nation-states, but they were just ground down by the massive industrial power of the United States and the strategic depth of Russia. Set this against the concerns of the American intellgensia. E.g., White Privilege Conference Attendees Complain Conference Is Too White. What is increasingly normative in elite American circles are positional games, where individuals jockey for money and professional status, as well as ideological infighting which turns on semantic leverage and privilege of identity (where lack of privilege is the privilege in the discourse!). This way of thinking has bled into the mainstream media. Consider this asinine article on Hillary Clinton and Bill deBlasio, Racially Charged Joke by Hillary Clinton and Bill de Blasio Leaves Some Cringing. I’m not a big fan of Bill de Blasio, who I am fond of calling New York City’s Communist mayor. But, if there is one white person who is not racist, it’s probably de Blasio. The journalists reporting this story must know this, but they still go through with the article. And most of the readers know that de Blasio is married to a black woman and has black children, which is far more integration than most white people achieve in their lifetimes. The journalists know you know that Bill de Blasio is very not racist, but they still have to read about his comments being “racially charged”. It’s a game. The artifice probably why I found old style economic Leftism of Bernie Sander’s sort much less annoying than new style cultural Leftism steeped in critical theory. I’m very opposed to socialism, and skeptical of big government, but I can see that the proponents of these views are trying to do something for the human race. In contrast, #TeamProblematic seems only to be concerned with tearing down other people through leveraging their accrued victories in the privilege olympics. Rather than sacred values, these are squalid values. It is the intellectual form of going on a shopping spree at a crappy second rate indoor mall. I’ll leave you with this: Feminists mock Green Party young women’s group for invite to ‘non-men’. 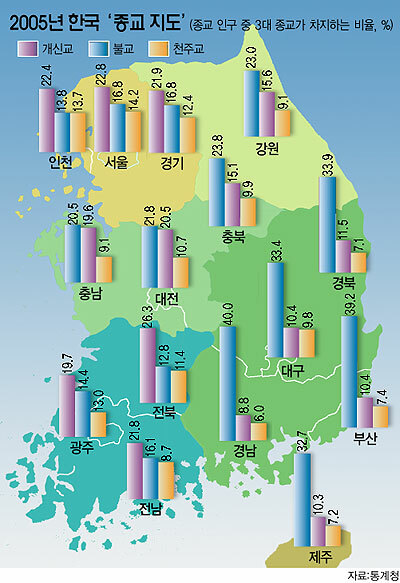 The map to the left is derived from 2005 census data from South Korea. You see religious affiliation by region. The blue bar represent Buddhists. The purple bar Protestants. And the orange bar are Catholics. The figures do not add up to 100% because a large number of South Koreans do not have a religious affiliation. The Korean peninsula has witnessed a lot of religious change over the past three generations. Traditional beliefs and mores were stronger in the southern part of the peninsula, so Pyongyang was a major center of Christianity. The division between North and South was accompanied by a migration of Christians from the North to the South. On the order of 1% of the population around ~1950, today Christians form about 30% of the population, with 20% being Protestant, and 10% being Roman Catholic. Buddhists comprise 20% of the population. Most of the gains to Christianity occurred between 1950 and 1995.There has also been a more pronounced growth in Roman Catholicism, which is arguably more prominent than its numbers would warrant. 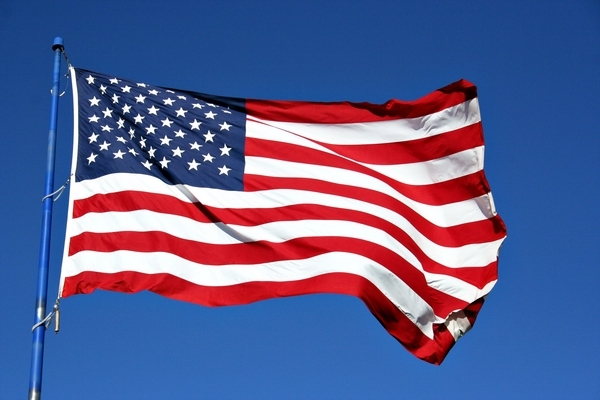 Three of the eight listed potential presidential candidates in 2017 list Roman Catholicism as their religion. Spatially the patterns make some sense and are not surprising to me. The southwest of the peninsula has traditionally been supporters of the more Left political party, while the southeast has been aligned with the Right. Seoul and its environs to the northeast is arguably the locus for the most Westernized segments of Korean society. I’m curious what Korean readers, or people who have lived in Korea, have to say about this. Interesting piece in Nautilus, Why Revolutionaries Love Spicy Food: How the chili pepper got to China. 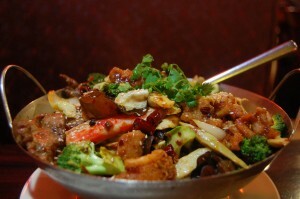 As you may know there isn’t any specific thing which is “Chinese food”, anymore there is “Indian food”, or “European food.”* The article focuses on the emergence of Sichuan cuisine, which unlike Cantonese food, took to the arrival of New World chili pepper in the past few hundred years and seamlessly integrated it into its armamentarium. * My mother thinks most Americans eat hamburgers and cookies. …intimidation that has kept outsiders like Mr. Taloa away for generations, a group of surfers is fighting to open up the beach to all comers. A class-action lawsuit filed last month by the Coastal Protection Rangers and two surfers seeks to bar the Bay Boys from congregating at Lunada Bay — similar to the way injunctions have been used against members of criminal street gangs. The alleged members hail from one of the most exclusive communities in Southern California; many of them are middle-aged; some live in multimillion-dollar homes so close to the coastline here that the morning fog rolling off the ocean leaves their lawns damp. If you live in SoCal you know there is a problem where rich people basically strangle access to public beaches in some areas so as not to be bothered and annoyed by the populace. The story above is just of a piece with that tendency. The article I linked to earlier, about pro-growth activists fighting established progressive factions in the Bay Area illustrate the same pattern: entrenched local interests trying to prevent development and growth. The California property tax system is also famously skewed toward incumbents who have been in the state for a long time. There’s a paradox here. The culturally liberal ethos is now in favor of mass immigration, while the business class of all ideological stripes wants workers of various skill levels. That means more people, who need more housing (and transportation). But the regulatory regime and the social norms are still biased toward skepticism of growth derived from a combination of 1960s environmentalism (on the Left) and anti-tax (property) and classist sentiment (on the wealthy Right).